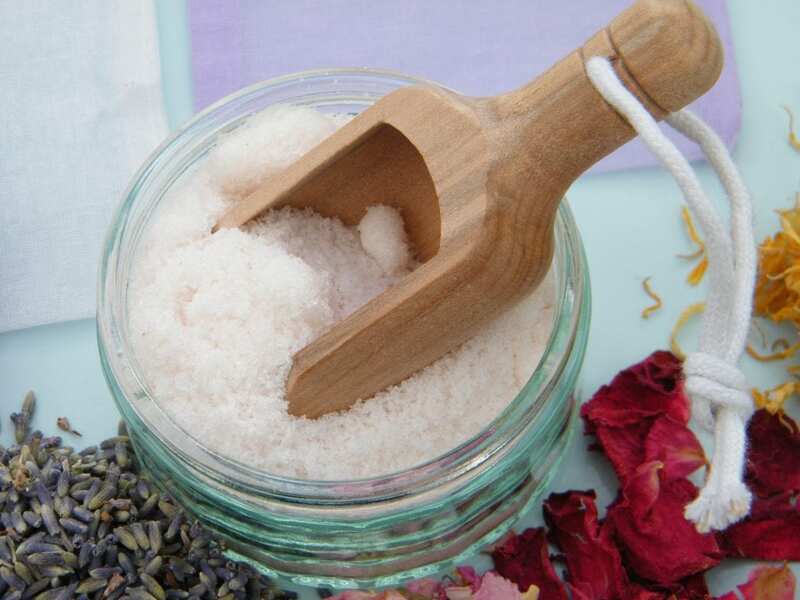 Brighten up your bathtime with the fragrance of flowers from your garden in this floral bath soak! The bag you use for this make is quite important – it needs to be a quite open weave to allow the water to circulate. 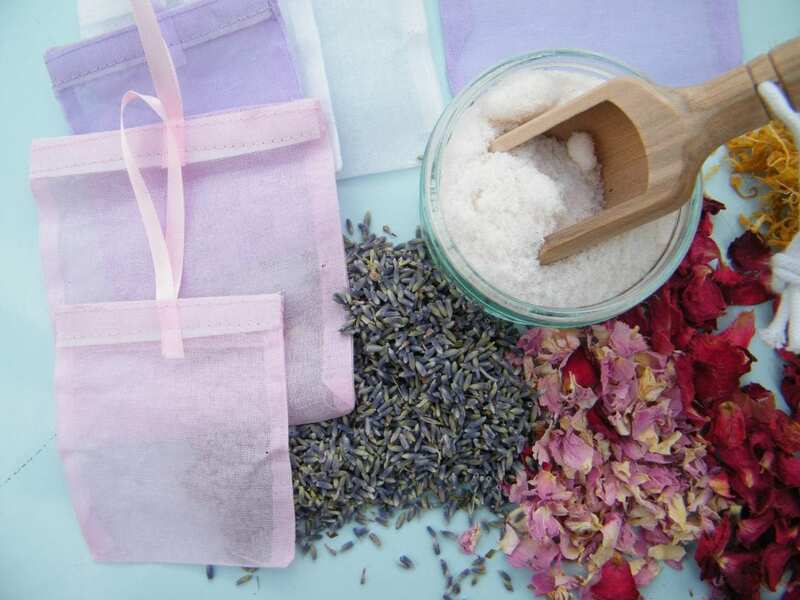 The cotton pouches in the image are perfect for bath sachets, as they are made of fine muslin-style cotton, allowing the water to wash in and out without filling your bath with bits of flower. I don’t know about anyone else, but I stopped using floral bath bombs because I got fed up with picking petals out of my hair afterwards! 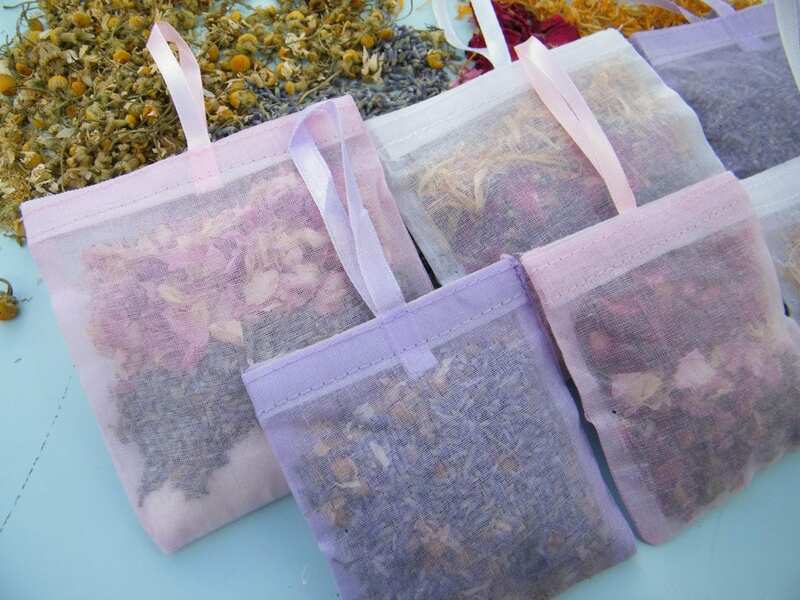 If you have dried some flowers from your garden, you could make these sachets all year. You could also try any of the above as fresh flowers in season, or citrus peel for a stimulating aroma. Seal the bag (the ones in the image have a velcro closure), throw it in the bath while the water is running, and relax! The bag can be emptied afterwards and re-used. 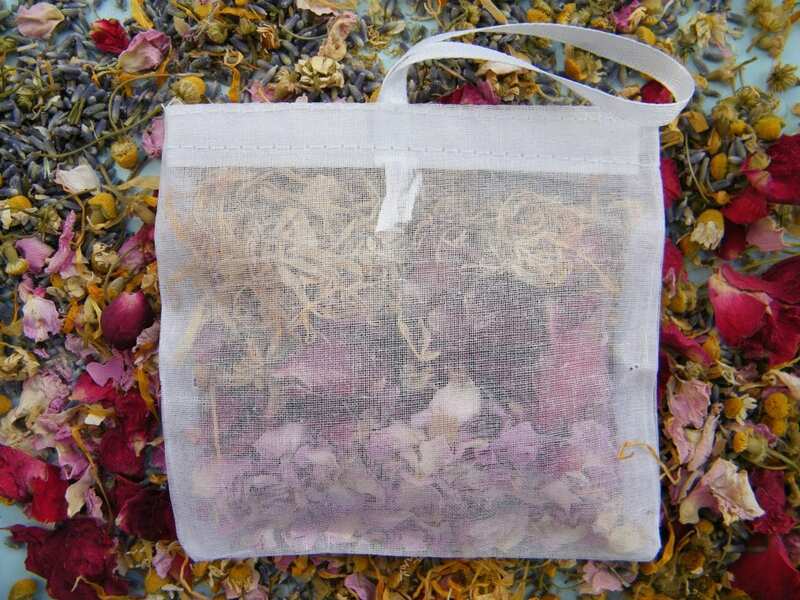 The petals look lovely viewed through the bag, and you can see I used various combinations of the ingredients. Try squeezing the wet bag to release the natural essential oils. Rose petals from your own garden may well produce a stronger fragrance than bought ones, and fresh will be stronger than dried (but obviously they only have a limited season). Or you could try supplementing with essential oils [you only need a couple of drops per bag – may mark textiles – keep away from polished, painted and synthetic surfaces, children and pets – note any warnings supplied with the oils e.g. suitability of use in pregnancy]. I used Himalayan bath salt to soften the water. This has a delicate pale pink colour and is available from health food shops. Choose materials with an open weave such as old net curtains, butter muslin or cheesecloth. If you don’t want to sew a bag, just cut out a square or circle, place the dried flowers in the centre, gather up the edges and tie with ribbon. Homemade ones would make lovely gifts. For bath bags, buy large empty disposable teabags online, or try the cotton pouches shown above – these come in two sizes and three colours.